Did you know that you can make this tasty Italian chicken pasta meal in a slow cooker? 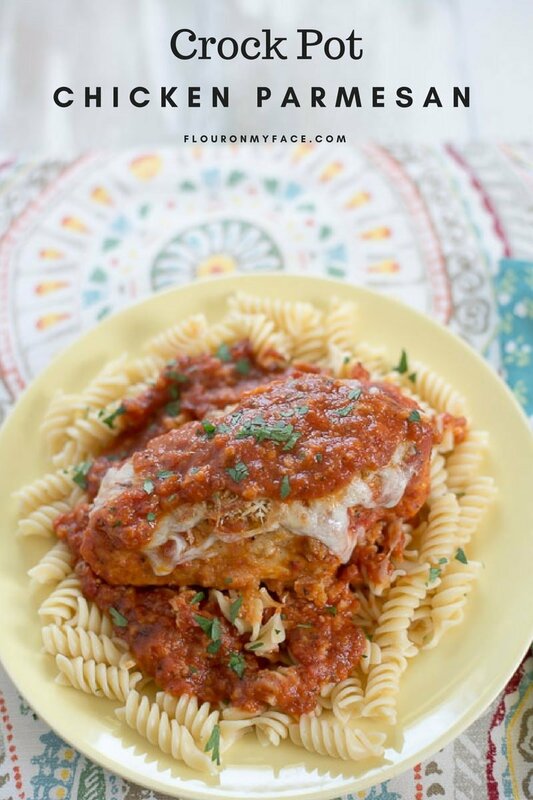 Crock Pot Chicken Parmesan is delicious, easy to make and an easy family dinner that is pretty cheap to make. Easy to make crock pot chicken recipes are my favorite crock pot recipes. My freezer is stocked full of boneless chicken breasts that I buy whenever they are on sale. 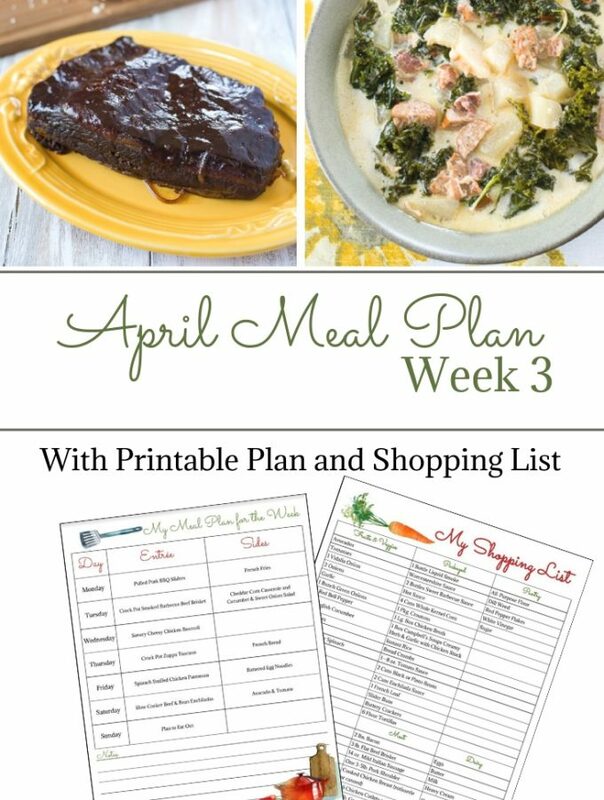 Stocking my freezer full of chicken or beef when it is on sale is one way that I can semi meal prep with freezer meals so the day I plan on cooking all I have to do is pull the frozen meat out of the freezer and defrost it. 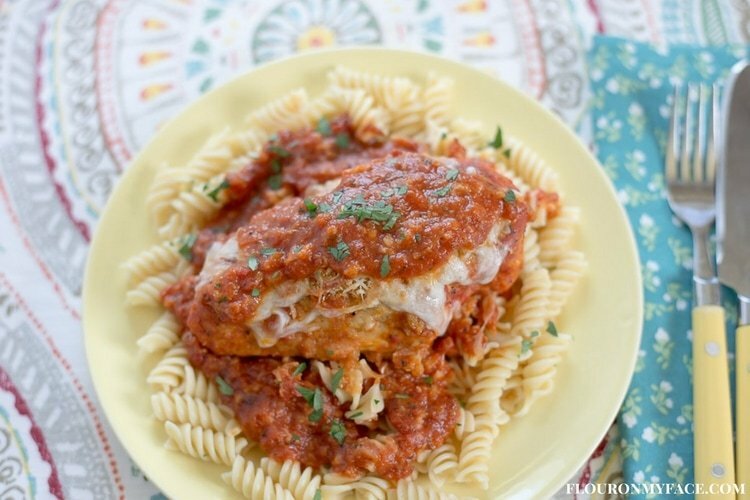 This Crock Pot Chicken Parmesan skips the step of frying the breaded chicken breast. Instead each piece of chicken is partially submerged in the pasta sauce. As long as you do not completely cover the breaded chicken with the pasta sauce the bread crumbs will not get soagy on the top. Then once the chicken is finished cooking you remove it from the crock pot, top it with shredded mozzarella cheese and bake it for just a few minutes until the bread crumbs and cheese is golden. You could skip the baking step if you want and top the chicken with the cheese and allow it to melt in the slow cooker. It will still taste delicious but you won’t get the nice golden brown cheese and bread crumbs on the top of each chicken breast. I served the Crock Pot Chicken Parmesan over a bed of Rotini pasta but you could use, ziti or spaghetti noodles if that is what you have on hand. 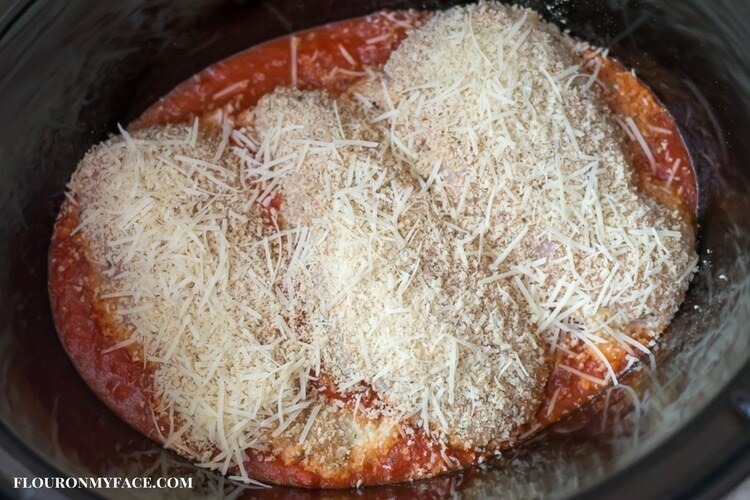 The Crock Pot Parmesan Chicken also tastes delicious served over zucchini or squash zoodles for a low carb version of Chicken Parmesan. 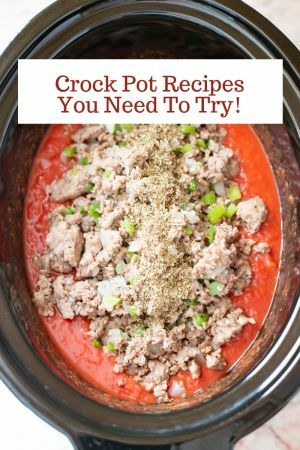 Pour the sauce into a 6 or (affiliate link) 7 quart crock pot. Beat the egg and milk in a medium size bowl. Pour the bread crumbs on a plate. Dip each piece of chicken in the egg and milk mixture. Immediately dredge the chicken in the bread crumbs turning to coat both sides. Place the piece of chicken in the crock pot. Repeat with the remaining pieces of chicken. Sprinkle the Parmesan cheese over each piece of chicken. Place the cover on the slow cooker and cook on high for 3-4 hours. Chicken is done when the center of each piece of chicken has reached 165 F. on a (affiliate link) meat thermometer. Once the chicken is cooked through place each piece of chicken on a cookie sheet, reserving the sauce in the crock pot. Sprinkle the top of each piece of chicken with the mozzarella cheese. Bake in a 375 F. degree oven until the cheese has melted. 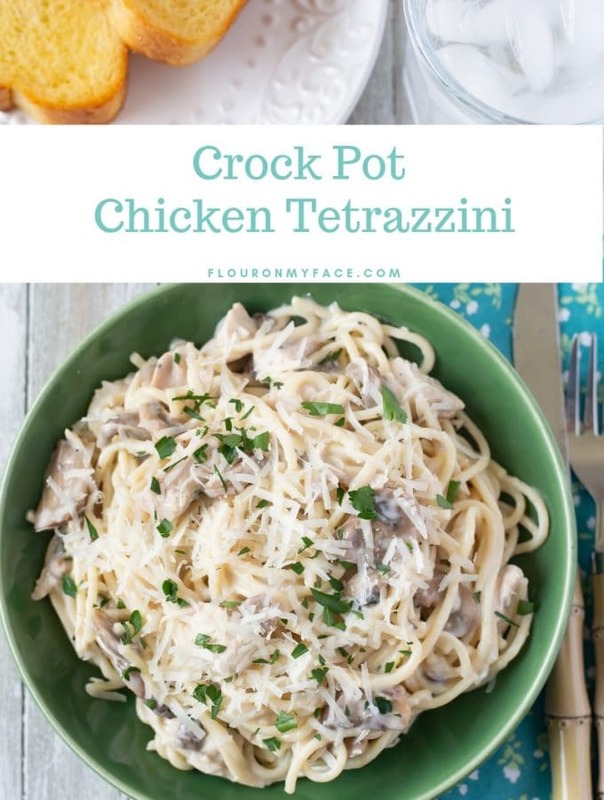 Serve chicken on a bed of cooked pasta and spoon some of the sauce from the crock pot over the chicken. 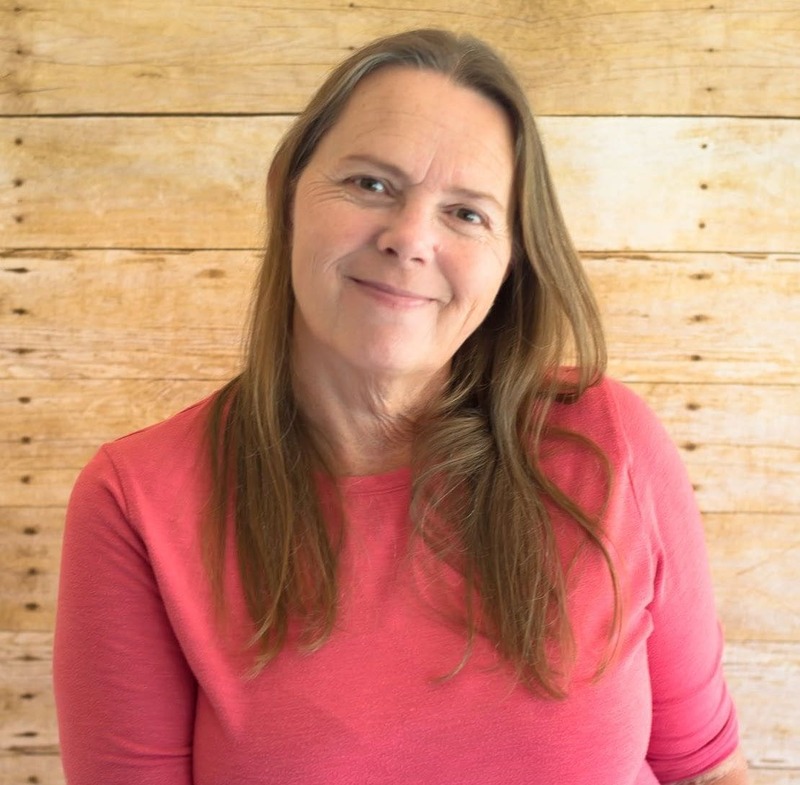 Do you have a category for low carb recipes? I have to cut my carbs a sugar t alleviate my gout pain and lower my sodium because I have kidney. That’s another reason I am attempting the Atkins diet again. It worked for me back in the 70’s, so it ought to work now! I just can’t do the amount of their products that are listed in phase 1! Thank you for any help you can provide! I do have a low carb category. You can find some of my recipes that have been tagged with low carb here. 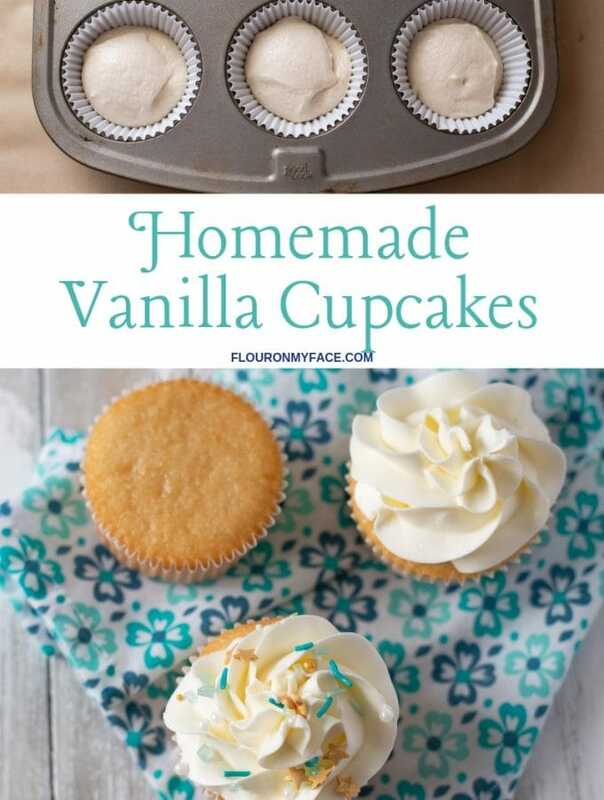 You can also look under my vegetarian recipe category for some recipes that are low carb. Keep in mind any recipe with beans is going to have more carbs because as you probably know beans have a lot of carbs. But those recipes can be adjusted to low carb by removing some of the carb heavy beans and adding more protein. You can also substitute vegetable noodles (zoodles) for the pasta in many of my recipes and use cauliflower rice in place of white rice. Good luck! 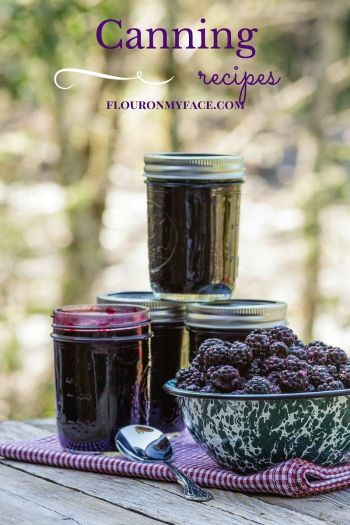 THAT IS A COMPLETELY HEALTHY AND AMAZING RECIPE THAT CAN BE LIKE BY EVERYONE.